Sealcoating provides versatility, rapid usability, and aesthetic value, while correcting minor deficiencies in the pavement surface and preventing further deterioration. Sealcoating has the ability to increase the life of your pavement and save money by preventing minor problems from turning into major ones. It is also more eco-friendly and less expensive than many other systems. Many existing deficiencies with aged pavements such as cracking, raveling, loss of profile and/or loss of traction due to flushing or polishing of aggregates, can be corrected with a proper application of a sealcoat. 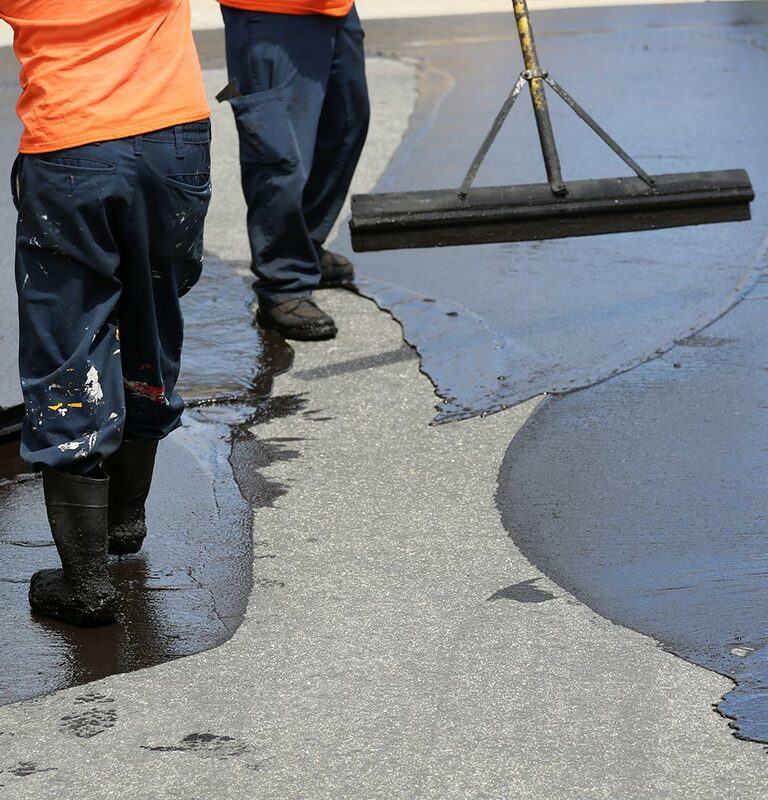 Sealcoat is applied to asphalt to seal the pavement surface and protect it from the degradation caused by sunlight, oxidation, and water, and to act as a shield against drippings such as oil and gasoline. by providing a smooth, black, even surface ideal for painting lines and sweeping. On older pavements, seal coating can replace fine particles lost from the asphalt surface while sealing small cracks before they become larger, protecting the supporting base material from water intrusion. – Sealcoats typically last between 3-5 years. – Sealcoating is economical to install and highly cost-effective. – Sealcoat is applied quickly, allowing the pavement to be returned to use in just hours after the application is complete. – Sealcoating is applied using a squeegee, broom or mechanical spray. 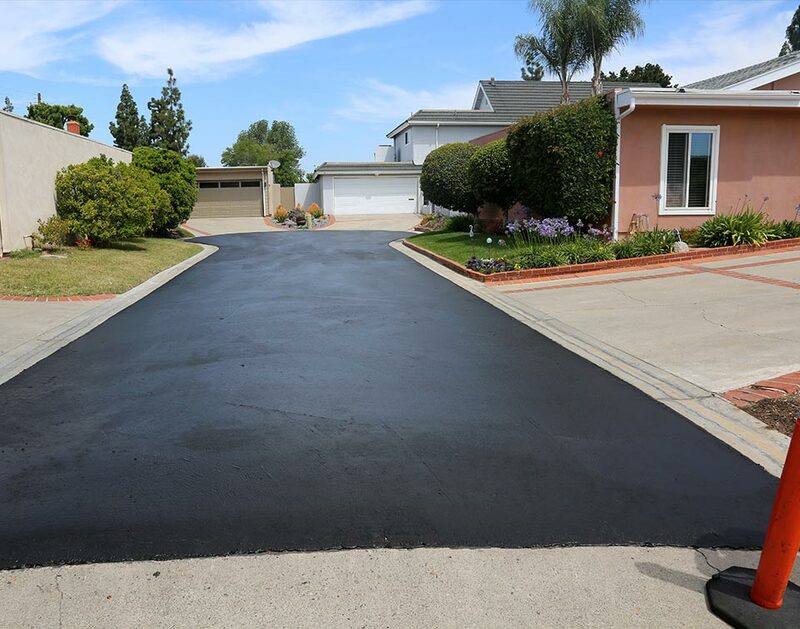 In some cases when asphalt is worn down beyond what sealcoating can fix, then we overlay 2″ of asphalt on existing asphalt.